Fall 2019 sees the premiere of a new musical chapter in Wolfgang’s life. His Large Ensemble will perform a concert program of his compositions, arranged by the great Argentinian composer Guillermo Klein. The Band features a wonderful cast of musicians as well as guest soloist Ambrose Akinmusire on trumpet. The project was developed in cooperation with Wiener Konzerthaus. Here is a new video of the Quintet featuring Matthieu Michel, Colin Vallon, Larry Grenadier and Jeff Ballard performing my song “For Django” in Basel last November. 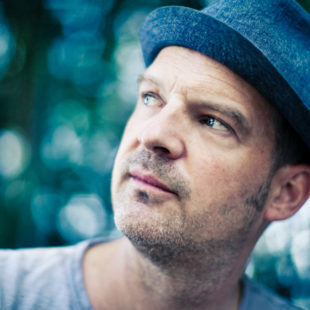 The song is named after and inspired by Django Bates. Wolfgang played some solo songs of his during the latest Quintet tour in autumn 2018. Watch and listen to his performance of „Circling“ at Volkshaus Basel in November 2018 here. Wolfgang Muthspiel Quintet’s second record on ECM «Where the River Goes» is a little more than two months old now and received praise from all over the world. Read some excerpts here. Wolfgang will embark on a tour with MGT in February 2019, reuniting the guitar trio with Ralph Towner, Slava Grigoryan. They will be playing seven dates in Australia, showcasing new music written by Ralph and Wolfgang. Here is the complete video of the title track of Wolfgang´s new album Where The River Goes. The second album of the Wolfgang Muthspiel Quintet „Where The River Goes“ is being released today (05. October 2018) on ECM records. It contains eight new pieces interpreted by Ambrose Akinmusire, Brad Mehldau, Larry Grenadier, Eric Harland and Wolfgang himself. The album is available on most streaming services and can be ordered as CD or LP by clicking here. Matching sheet music is available via the „Works“ header. Wolfgang’s new album Where The River Goes will be released on October 5th, 2018. The recording features Ambrose Akinmusire on trumpet, Brad Mehldau on piano, Larry Grenadier on bass and Eric Harland on drums and was produced by Manfred Eicher. On 27th July 2018 Wolfgang will premiere a new band at Loulé Internacional Jazz Festival in Portugal. Wolfgang Muthspiel Chamber trio will feature Mario Rom on trumpet and Colin Vallon on piano. As a kid Wolfgang played violin and loved to play chamber music. With violinist Beni Schmid and cellist Florian Eggner he has formed a Trio that combines this sensibility with improvisation. 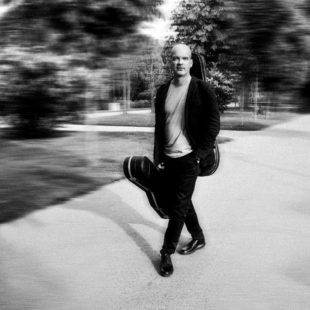 The album “Travel Guide”, a Guitar Trio with Ralph Towner and Slava Grigoryan, was Wolfgang’s first appearance on ECM records. For this album he contributed 5 compositions. They are now available for download at our shop. Rising Grace and Driftwood as well as a new Suite for Bass Solo which he wrote for Larry Grenadier, and the Kanon in 6/8 for Trio. over the next months we will add many more scores to the site. We proudly present a new Video of Wolfgang in Trio with Larry Grenadier and Jeff Ballard. Here is an extended version of the new composition “Kanon in 6/8”, live at Porgy and Bess, Vienna. On Monday, March 26 2018 Wolfgang will be working with the students of the Music Academy in Lodz, Poland. An “Artist Talk” , open discussion with Wolfgang Muthspiel at 17:30 – 18:15 and a concert at 20:30 will be open to the general public. Wolfgang will play Trio with Brian Blade on drums and Scott Colley on bass at Cotton Club Tokyo August 9th, 10th and 11th 2018, followed by a recording date. Wolfgang Muthspiel will embark on a tour with his new quintet featuring Matthieu Michel (tp), Colin Vallon (p), Larry Grenadier (b) and Jeff Ballard (dr). Lasting from 30th October to 15th November, shows and more information are to be announced soon. We are looking forward to create the ensemble for the season 2018/2019. September 2017 marks the debut of Focusyear: A one-year intensive course for exceptionally talented jazz musicians, selected by an expert jury, who will form an ensemble of nine people. The band will be coached and advised in a regular cycle by acknowledged masters of the international Jazz scene. Wolfgang Muthspiel is artistic director of Focusyear. Esteam Music GmbH is in charge of Wolfgang’s Management and represents him worldwide.